pierce – a picture with a thousand words. 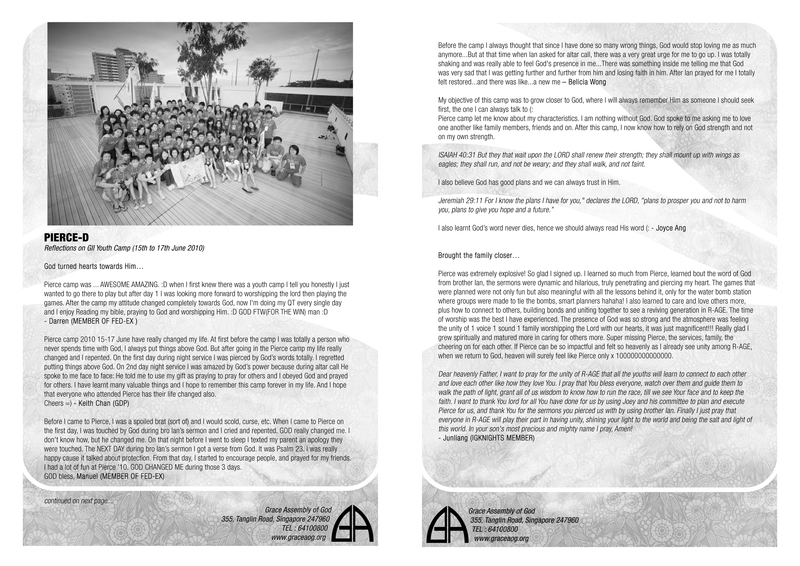 I thought it’d be good to publish the PIERCE testimonies here for those who weren’t at the service when it was printed and distributed, R-AGE @ GI youths as well as all the knights and prayer warriors of this historic camp. This was designed by JH and her publishing team, consolidated by the hardworking YX (who also initiated this project) and made possible by the gladiators who contributed. 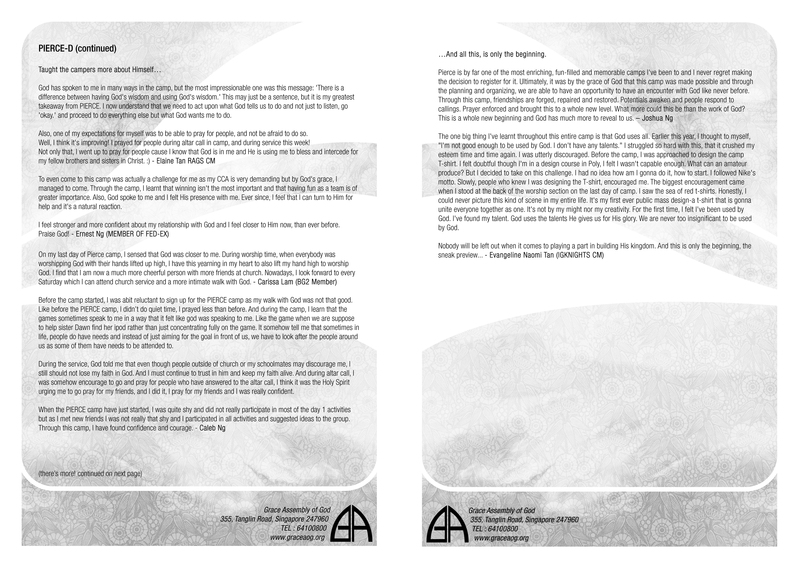 It was a joy for JH, YX and I to have read these testimonies before they were published. Do save the soft copies into your computer and remember the good things that God has done at the second and final youth camp in R-AGE history. And allow your heart to be encouraged all over again! Posted on July 16, 2010, in A Walk To Remember, Affirming Faithfulness, Forever Young, Picture Perfect, Simple Pleasures and tagged Chua Yi Xian, God, Joanna Hioe, Pierce, R-AGE, testimonies, youth camp. Bookmark the permalink. 5 Comments. you’re doing such a great job as a CM, shav. keep up the fantastic work! :> Super learn a lot from you… Keep going arh!